To rare Queen Anne Style Portuquese side chair having rich foilate-carved crestrail above a vase shaped solid splat. 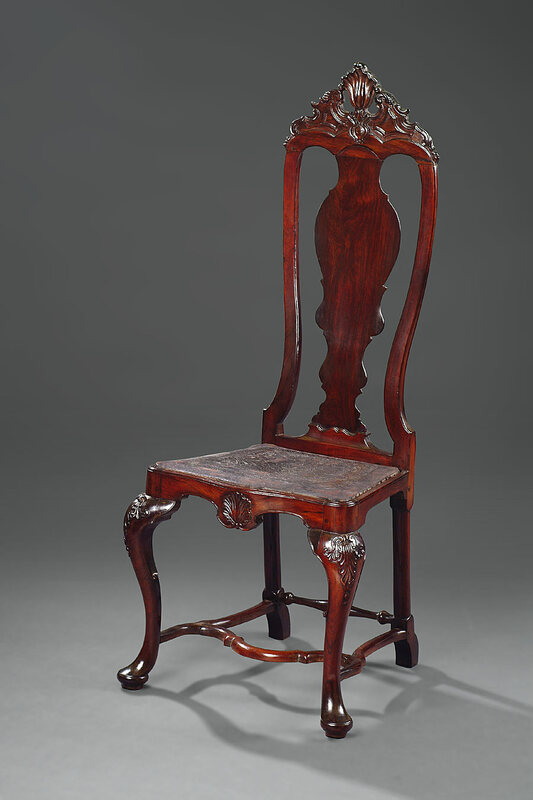 The tooled leather seat and frame appear to be original to the chair. A Portuguese makers' or owners' signiture is written to the seat frame. This is a rare original survival.